To survive the current feed economy livestock producers need to graze their livestock as long as they can. Every day livestock are meeting their nutritional needs through grazing they are being fed as economically as possible. 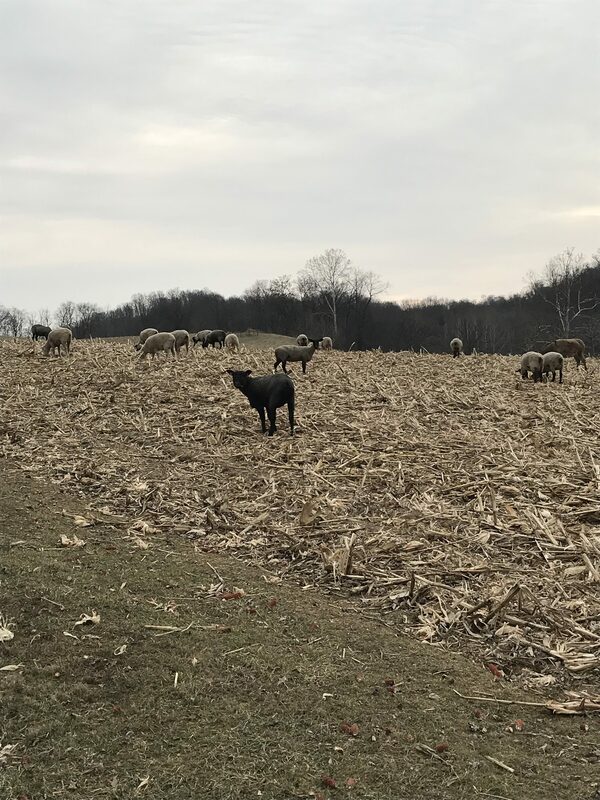 Typically cattle producers utilize corn residue as a feed source but, in Ohio, sheep producers need to consider grazing corn residue as well. When corn stalks become available for grazing livestock producers need to move to take advantage of this resource. Because the feed is in contact with the ground and deteriorating in the field you should start grazing corn residue as soon as the combine pulls out of the field. The nutrient value of residue declines the longer it is exposed to weathering. Sixty days after harvest is the window for maximum feed value. After 60 days it may not meet the needs of your livestock and you will need to provide supplemental feed. Grazing residue right away will provide a better feed. Wind damaged fields can have more grain left in the field after harvest than normal. Check fields for excess grain before grazing. Too much corn left in the field can cause acidosis and founder. In these cases cattle need to be adapted to a higher grain ration before grazing. They should initially be turned into residue with their rumens full if a problem is expected. Strip grazing will also force the animals to eat leaves, cobs, and stalks instead of just gleaning the grain. Giving animals only a few days or weeks worth of corn residue at a time utilizes the forage more efficiently. Strip grazing provides a more uniform diet. Leaving cattle in the entire field for a couple months or longer means the livestock will initially pick the grain and some of the leaves. Eventually they will only have the stalks, or the least nutritious plant part, left and will need to be supplemented. 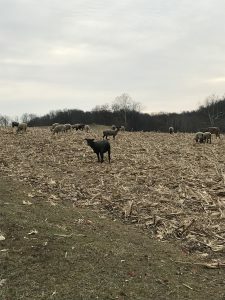 Posted by Braden Campbell at 8:00am January 4, 2019 Posted in Forages and Pasture and tagged Economics, Forages and Pasture, Management, Nutrition. Bookmark the permalink. ← Shearing the Flock: When are you Shearing?